Replacement BLADES for Gasket Cutters! Food Grade Rubber Buy Online by the foot! Allstate Gasket provides custom gaskets, food-grade rubber, packing, gasket material in rolls, sheets and strips. We provide services including die cutting and hand cut gaskets and more. We supply Deacon Sealants. Our products are used in applications including boiler, manhole and handhole gaskets and fluid sealing products. We provide specialized gasket making and packing tools including gasket cutter kits, gasket punch sets, dovetail punch, gasket making machines and more. Gaskets and other rubber-material components come in millions of sizes and designs – and Allstate Gassket can cut them all. Neoprene, Nitrile, EPDM in the FDA-compliant grades you need for contact with food and consumables, pharmaceuticals, and cosmetics. NSF-61-ANSI material certified for use with drinking water by SWDA and meets AWWA standards. Material in stock, ready for fast fabrication and shipping. Specialty tools, kits, and replacement parts (including gasket-cutter blades) for gasket-making professionals, MRO and OEMs. High-temperature ropes (up to 1000°F (540°C) for ovens, funaces, boilers – anywhere a quality, burn-resistant yarn is required. Compression packings, specialized packing tools from cutters to tampers and pullers – including replacement tips – available online. 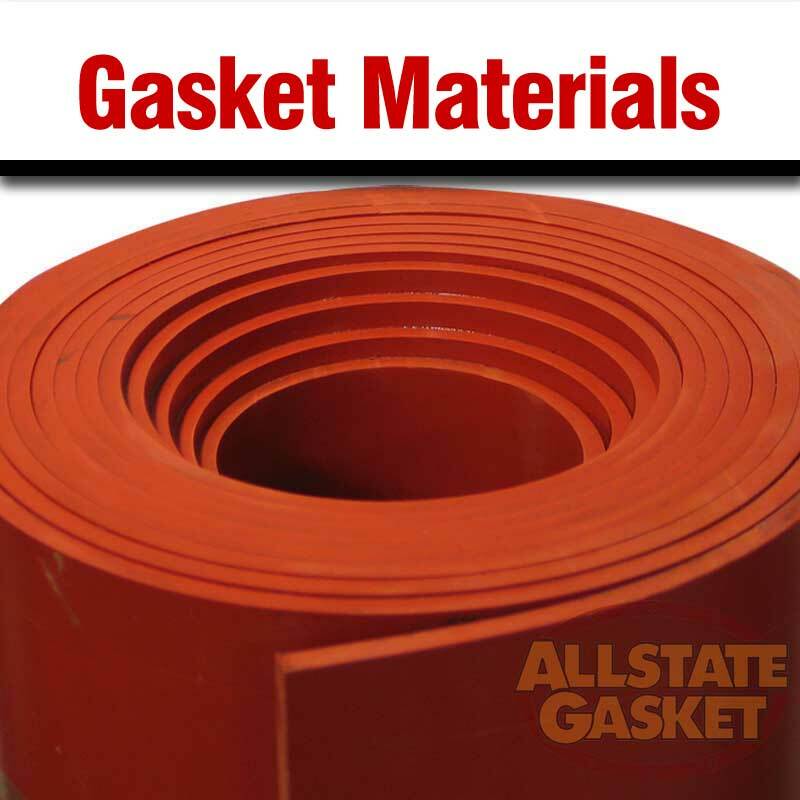 Allstate Gasket supplies a wide range of sheet materials including Food Grade Rubbers, Fiber, Compressed, EPDM, and much more ready to buy online. This little workhorse produces! 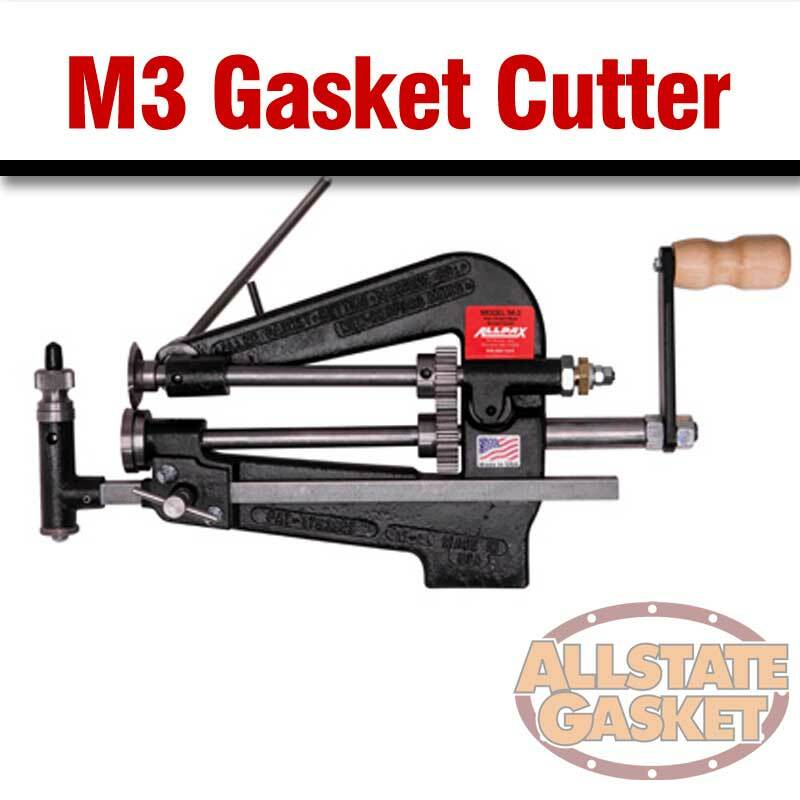 The M3 Gasket Cutter easily adjusts to any size variation - lock it in and crank 'em out. See our video to see the M3 in action. 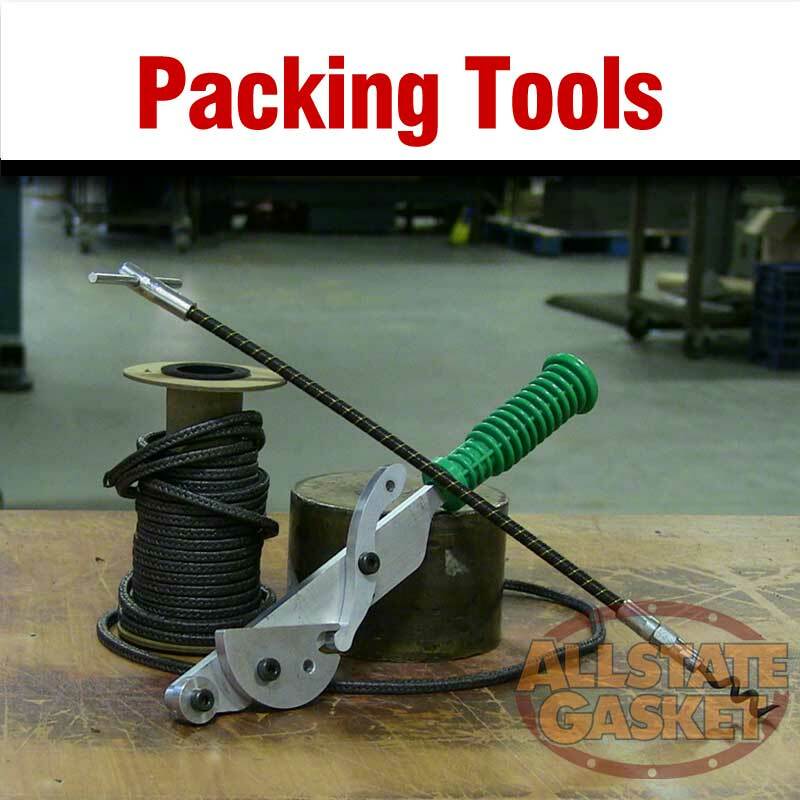 Specialized, hard-to-find tools for packing maintenance - and packing, too. Popular is the all-inclusive 30-Pc Packing Mechanics Kit - everything but the pump. Contact Allstate Gasket with any pre-sales or product support questions. Our experienced sales staff will be more than happy to supply the answers. IMPORTANT DISCLAIMER: All information provided on this site is for reference. Always perform your own tests and acquire further information to determine product suitability. While we make effort to provide accurate information, we cannot be held responsible for errors either of omission or typographical. Allstate Gasket assumes no responsibility for the use or suitability of any product.